I am happy to report that Lego Minifigure trading is in full force at Legoland Florida! I was a little concerned because last spring, minifigure trading was near extinct at Legoland California. But, as I predicted, nearly every Legoland Florida employee was wearing their minifigure for opening weekend. I hope the trend continues because we absolutely love minifigure trading! 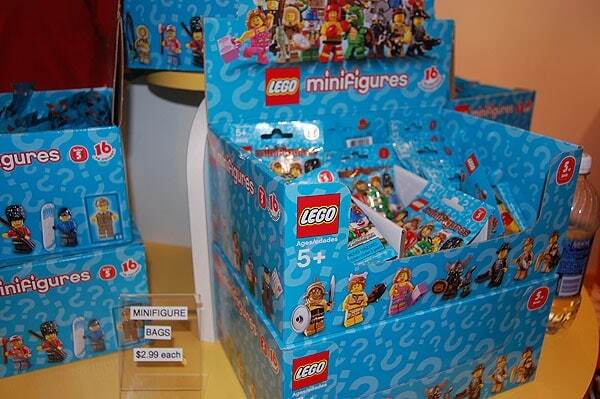 If you don’t already own a minifigure, they can be purchased at Legoland Florida –in any of the stores– for $2.99 each. That’s when you can decide if you want to keep your minifigure (they make cheap Legoland Florida souvenirs!) or trade it for a new one. My daughter and I brought along a minifigure I purchased at Legoland California to trade for a new one at Legoland Florida. 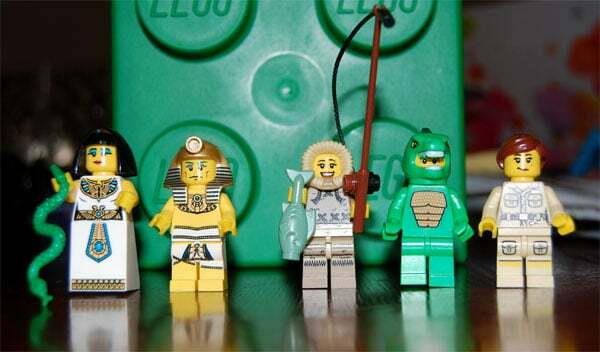 When I was in California, I searched and searched for the King Tut minifigure to trade with, but no one was wearing him. Sure enough, on our second ride at Legoland Florida, my daughter spotted him and she made the trade! We ended up coming home with 5 new minifigures on our first trip to Legoland Florida. 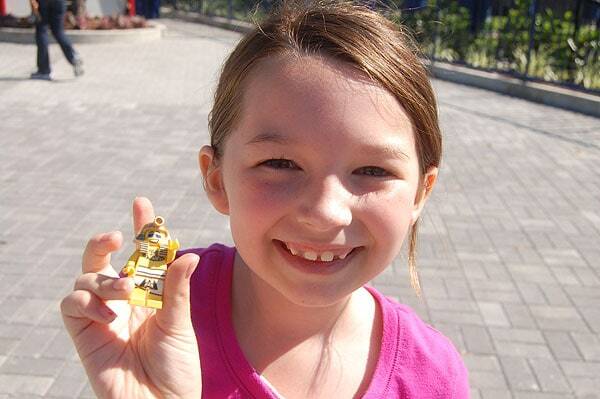 Minigure trading is a fun and inexpensive way to get more out of your Legoland experience! Thank you for the tips! Your site is very helpful. And I love the discount tickets tips! We are going to Legoland FL for the 1st time later this year. Thanks again!